Marge Champion - Call on Dolly! 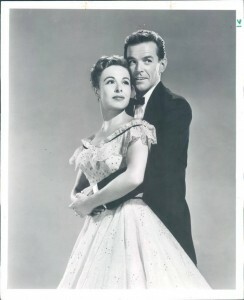 Marge Champion’s Memories of Gower Champion and Hello, Dolly! From 1964-1970, Marge Champion was special assistant on Hello Dolly!, directed and choreographed by her then husband Gower Champion. She was also taking care of two young sons at the time that this project began. She was constantly shushing them so Gower could get some sleep. They wanted to see their daddy, of course, but he was divided between his family and another baby. That baby was Dolly. When Gower came on board, he worked around the clock to bring the show to its ultimate success. 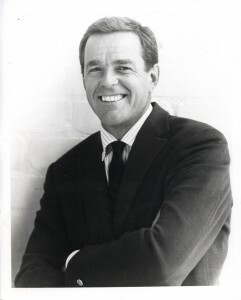 Gower Champion had a solid success in 1960 with Bye Bye Birdie, which was originally called Let’s Go Steady, produced by Ed Padula. It was a totally different script from the one we know today, this after Gower got a hold of it. That led to Carnival which was produced by David Merrick with a book by Michael Stewart. 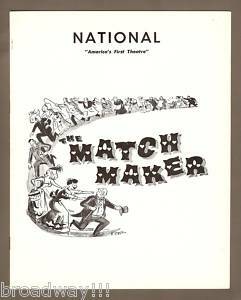 The day after Carnival opened on Broadway, Merrick assembled Gower, Stewart, and composer and lyricist Bob Merrill to tell them that he had optioned The Matchmaker, which he had produced to become a musical. It was an ingenious idea as John Anthony Gilvey says in his insightful and highly recommended book on Gower’s career and life, Before the Parade Passes By: Gower Champion and the Glorious American Musical. Stewart very excitedly started the first of several drafts. Merrill turned it down when he realized that Gower might be directing. Merrill didn’t like the fact that he was barred from rehearsals until Gower was ready during Carnival!Eventually, they would work together later on both Prettybelle and Sugar. Gower was reluctant to take on this project due to past experiences with Merrick. 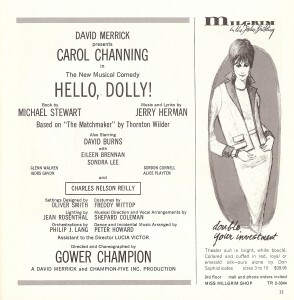 Gower was actually not Merrick’s first choice for Dolly. He wanted Jerome Robbins. Robbins turned Merrick down but said that IF he was to take the job; the FIRST thing to go would be the Hello, Dolly number! Jerry Herman had originally been suggested by Michael Stewart. Jerry contacted Merrick who did not know whether or not if Jerry could capture the essence needed for The Matchmaker. Pretty much All that Merrick had to go on was the Eastern European sound of Milk and Honey. Herman used to joke that Merrick thought he was too “ethnic” for the task at hand. Jerry got a copy of the script and went home and in three days, wrote Hello, Dolly, Put On Your Sunday Clothes, I Put My Hand In with the Call on Dollylead in, and I Still Love The Love that I Loved which was replaced by Ribbons Down My Back. Jerry was determined to get Dolly and arranged an audition for Merrick to hear what he had to offer. As we know, Jerry got the job. Merrick nearly destroyed him with the way he was treated. Jerry Herman was twenty six years old at the time and Merrick was just a sociopath. There were other songs that came and went on the road to Broadway. 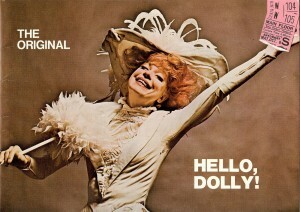 Jerry Herman had come on board and Gower heard the score, he agreed to choreograph and direct Dolly, an Exasperating Woman as Hello, Dolly was originally titled. Gower met with Herman and decided to do it AFTER hearing the score and coming up with the idea of the passarelle. The passarelle idea was not in the script at all when Gower came up with it. So, when he came up with this, he really wanted to do the show. Gower kept copious notes on every aspect of the production from the look and design to the costumes to the casting, He chose Freddy Wittop to design the costumes. Gower had worked with Freddy on Carnival and they had a great working relationship that would continue ountil Freddy retired. Anytime Gower could get Wittop, he would. He started out as a dancer and was a wonderful costume designer. He then began making his cast list. He originally sought Nanette Fabray to play Dolly Levi. When Nanette was approached by Gower, she was vacationing in West Hampton, New York with her husband and their small child. Nanette and her husband were very good friends with the Champions. Marge knew her from high school. 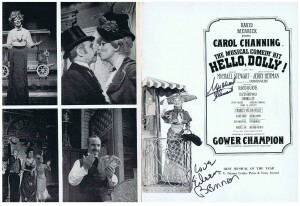 Gower wanted Nanette to come into New York City and spend a day with him working on the part in a rehearsal studio to see how she would fit into the role. She told Gower that he knew her work backwards and forwards and that she wasn’t coming in. She was on vacation. He would have had an entirely different cast if she had said yes. He certainly wouldn’t have had Eileen Brennan and Charles Nelson Reilly. With Carol Channing, he HAD to have larger than life characters to play opposite HER Dolly. It should also be noted that Marge discovered Carol Channing for Gower years earlier for Lend An Ear. Then, there was David Burns as Horace Vandergelder, one of the funniest men ever, according to Marge. He had great instincts. He knew how to play an angry man and make him funny. This was a big undertaking. You can’t play it just mean. As a result, he got laughs out of nowhere. 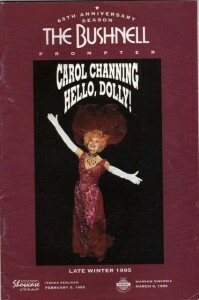 There are many versions as to how Carol got the part but the outcomes is always the same…Carol Channing will ALWAYS be the original Dolly Levi in Hello, Dolly! Even in her book, Just Lucky I Guess, when Carol says that Marge asked her to impersonate Uta Hagen when they first met, this is a fabricated version of their first meeting. Marge didn’t even know who Uta Hagen was. 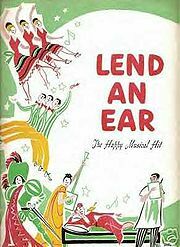 Fifteen years earlier, Gower and Marge had worked with Carol Channing in Lend an Ear, a musical revue with a book, music, and lyrics by Charles Gaynor and additional sketches by Joseph Stein and Will Glickman. Marge “found” Carol for that revue. She was hired as the third comedienne and emerged the star of that show. Subsequently, Gower contacted her for Dolly. Merrick was not initially sold on the idea of having Carol play Dolly. As a matter of fact, he originally desired Ethel Merman. Of course, she was the last one to play in the original Broadway run. Gower worked with Ginger Rogers, Martha Raye, and Betty Grable as each of them took over the role of Dolly. He directed and choreographed the international company with Mary Martin. He directed Eve Arden (at the Shubert in Chicago) in Carol Channing’s national company when Channing left the show to film Thoroughly Modern Millie. Lucia Victor, originally Gower’s stage manager directed the Pearl Bailey/Cab Calloway Company and prepared Phyllis Diller for her stint in the role. When Ethel Merman came into the show in March of 1970, Gower was too ill to work with Merman and Marge was summoned at Gower’s request. Marge loved Ethel Merman in the part. At first, she was very slow. She pronounced every word so perfectly that it would slow her down. In I Put My Hand In, for example, this song has a very brisk tempo. Marge knew that Merman was controlling the speed of the number. Marge was able to get her to quicken it. 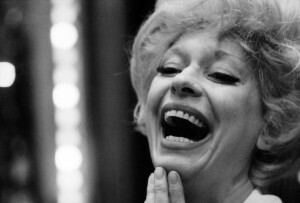 Initially, Carol Channing was doing The Millionairess at the Mineola Playhouse July 22-August 3, 1963. 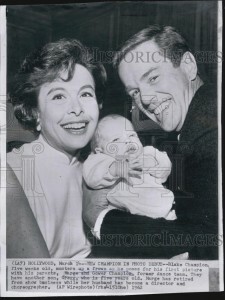 Marge and Gower and David Merrick went out to see her. She met with The Champions after the show. Carol and Gower worked until five AM. He realized that he would have to get rid of the flapper persona that she had adopted from Lend an Ear and Gentlemen Prefer Blondes. Gower had to convince Merrick to hire her. There was a lot of goings on. Channing was a star, but she had always played the flapper, and Merrick was cheap. Merrick never wanted to pay anybody. Once they all agreed on Carol, Gower put her in Marge’s hands for a few months before they went into rehearsal. Marge gave her all kinds of exercises to help her get rid of that flapper’s slouch that she had developed. That’s was all wrong for Dolly. Dolly had to have a commanding presence and of course she wore those large hats and gorgeous costumes. She had to have a different physicality from Lorelei. Dolly is a matchmaker, a go-getter. There have been rumors for years that Ruth Gordon, who originated the role of Dolly in The Matchmaker, was considered for Hello, Dolly! Marge is not aware of her ever being considered. Her name is Dolly Levi…by marriage. She was born Gallagher. Marge believes that THAT is precisely why Streisand did NOT work in the film. She IS Marge saw it many times in rehearsal and kept nodding her head in tempo. Marge finally had to speak to her. Marge just wanted to support Lucia in terms of keeping the show where it needed to be since Gower was not there. Jewish girl AND a famous one. Something else that didn’t work for Marge in the film are those moments where Dolly is asking permission from her departed husband Ephraim to rejoin the human race again. Those moments were handled so beautifully by Carol. Marge worked with Carol on the physicality of the role and cued her on her lines over and over again. Marge gave her some rigorous exercises that included both dance and yoga, as Marge had taught both dance and yoga by this time. Marge knew the things that would give her strength. Marge spent a total of two months with Carol before the rest of the cast started rehearsals. Casting and rehearsals were at The Mark Hellinger Theater. Marge worked with Carol in the basement. She also taught Charles Nelson Reilly to waltz. Marge thought it was a genius casting choice to cast Reilly as Cornelius Hackle, a romantic leading role. No one but Gower would have made that choice. It was akin to the casting of Paul Lynde as the father in Bye Bye Birdie. There was no real part to the father. Gower saw something in Lynde that the show lacked. Otherwise, it would have been kind of “sweety sweety”. Eileen Brennan was perfect opposite Reilly. Sondra Lee was cute and so funny and also was a great dancer. She brought a great energy to the part of Minnie Fay. It suddenly became an important part and not just a handmaiden. Jerry Dodge was absolutely wonderful as Barnaby. Gower knew how to cast and he knew how to surround each leading actor or actress with the right people whether they were well known or not. Sondra had done a couple of Jerry Robbins shows prior including High Button Shoes. He tended to choreograph even in the acting. Marge was at rehearsals almost every day as Dolly took shape. It was interesting because with Birdie, he did not want Marge to come to rehearsals. He wanted her to have fresh eyes when she finally saw the show. They did have a lot of “pillow talk” over Birdie. Hello, Dolly would solidify Gower’s Broadway career as a director/choreographer. Bye Bye Birdie really started it. He really wanted that, always. That’s the reason it was always Marge and Gower Champion, to keep the “Gower Champion” together. He was always trying to get a show to direct. He did choreograph several shows prior to Birdie. In 1948, Champion had begun to direct as well, and he won the first of eight Tony Awards for his staging of Lend an Ear. During the 1950s, he only worked on two Broadway musicals — choreographing Make a Wish, which starred Nanette Fabray, in 1951 and directing, staging and starring in 3 For Tonight in 1955. Make a Wish had a book by Preston Sturges and Abe Burrows, who was not credited, and music and lyrics by Hugh Martin. Gower always had a vision and introduced quite a few things to Broadway that had not been seen before. Most of his shows, for instance, began with no overture. Gower desired to get right to the story. That was particularly noticeable in Carnival. Dolly didn’t have an overture until several years later. He didn’t mind opening the second act with an Entr’acte. He also didn’t like closing the curtain between scenes. He worked it into the staging for the scenery to be carried off. Practically every show now operates that way. Check out One Man, Two Governors. They swing the sets around practically to music. That’s Gower’s influence. He started all of that. That device may have been used prior to Gower but not as part of the look of the show. Gower was proud of the work he did on Dolly. He was not a man who looked back. He always wanted to go forward. He was not a man to rest on his laurels. He would discuss his past work in interviews. Just like the title song itself,it was the way Gower built it so there were some softer moments and then some bigger moments saving the biggest for the last. That passarelle also contributed to the success of this number. It was a genius way of doing it and having it stage the way it was with all those “waiters”. It was an idea that harkened back to the Ziegfeld Follies and shows of that ilk. People had pretty much forgotten that style. Everyone was surprised that Dolly ran as long as it did. The last tour that Lee Roy Reams directed was really first class. There were several tours prior to that that looked tired and threadbare. Some of those tours played Los Angeles a couple of times AND with Carol. Marge doesn’tremember who the supporting players were. The first time Marge saw Dolly’s famed red gown, she was grateful that she had given Carol some muscle to carry it. It was a heavy dress and she had to move in it. She had to work with all the “waiters” and dance in that and swish around and carry that huge dress across the stage AND the headdress. She had to do a lot of movement and the fact that she had some dance training was very good. She had gone to Bennington, for only a year, but it was the only college that had a dance course. Marge didn’t go to college. There was no place to go in California, or anywhere else for that matter for the career path she desired. Martha Hill was the head of Bennington. She was one of the most influential American dance instructors in history. She was the first Director of Dance at the Juilliard School, and held that position for almost 35 years. She was the one who brought dance to Bennington. Greg Vander Veer is a documentary filmmaker and video contributor for IndexMagazine.com. Recently, he directed and photographed the documentary film “Keep Dancing”, about the legendary dancers Marge Champion and Donald Saddler. As of this writing, he is working on a documentary on Martha Hill. She really changed the look of dance as an academic in colleges. So, after a short rehearsal period, the cast was off to Detroit with Marge and Gower, and their two children, their second child Blake was only a year old. 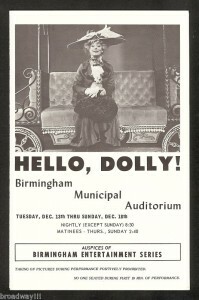 Hello, Dolly opened on November 18th, 1963. President Kennedy was assassinated on November 22nd. That event cast a terrible pall over the entire company as well as the entire nation and the world. There were additional problems with the show. Lee, Adams, Bob Merrill, and Charles Strouse were brought in to “doctor” the show by Merrick when he began to doubt Herman’s score. Things were very rough in Detroit because Gower had devoted much of his energies to Act Two which included The Waiter’s Gallop, the title number, and the famed eating scene. As a result of so much emphasis being placed on Act Two, Act One had been neglected. It was only through the kindness of one of the Detroit critics that a glimmer of hope was elicited towards this show. Variety’s critic was there and she knew he was going to pan the show. Marge convinced him not to be too tough on the show and to try and come see it again. She saw the potential of what the show could be. 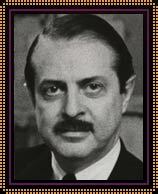 Charles Strouse encouraged Jerry and maintains that he did not write ANY of the songs for Dolly. He did suggest the IDEA and title of Before The Parade Passes By. He did not rewrite anything. Bob Merrill also maintained that he did not write ANY of the Dolly score. 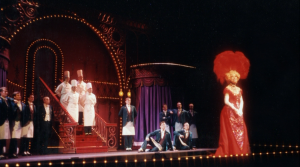 EVERY SONG in HELLO, DOLLY was written by Jerry Herman, this in spite of Jerome Robbins saying the title song would be the first to go. When Merrill was flown in without Gower’s prior knowledge, Gower left for Ypsilanti and told Lucia to tell “Mr. Mustache” that when he left, he would return to the show. That was the worst time for Gower on this show. David Merrick had a very serious disease, which has a name. He got his jollies by stirring up trouble. There was no question about it. When Gower passed away in 1980, the day that 42nd Street, opened on Broadway, even though Merrick knew about it, he didn’t tell anyone in the cast so he could have his moment on stage that night. In early 1979 Champion had received from his doctors at the Scripps Institute a diagnosis of Waldenström macroglobulinemia, a rare form of blood cancer. He began treatment at Cedars Sinai Hospital in Los Angeles and was advised not to take on work. The cast was aghast at the way in which Merrick announced Gower’s passing. Gower had died in New York City that morning at Memorial Sloan-Kettering Cancer Center. There were also several cast changes. Jimmy Dybus was replaced by Glenn Walken as Barnaby Tucker on the third day of rehearsals. Glenn would be replaced by Jerry Dodge who would continue on to Broadway. Joel Craig said that Glenn Walken was the best Barnaby Tucker of all. The challenge was that he couldn’t act, dance, and/or sing all at the same time! Another cast change involved Gloria LeRoy who is probably best remembered for having first played Bobbi Jo Loomis, the wife of Archie’s old war buddy Duke, and later the voluptuous Mildred “Boom-Boom” Turner in the 1970s sitcom All in the Family. She was originally cast as Ernestina Money only to be replaced by Mary Jo Catlett. 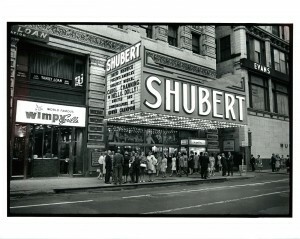 January 16th, 1964 was the official opening night on Broadway. Gower was very tired. The curtain came down on that night’s performance to incredible applause. The opening night party was at Sardi’s which is next door to the St. James. After going backstage to congratulate everybody, Marge went on over to Sardi’s where everybody was waiting for The New York Times review . In those days, the reviews actually were written on opening nights. That’s why those parties lasted so long. Everyone was anxiously awaiting the reviews. The press agent would get a telephone call. In this instance, it was Harvey Sabinson. 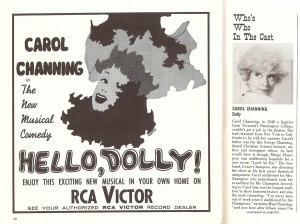 Opening night reviews were generally positive, and Carol Channing’s performance as Dolly Levi was greatly acclaimed; however, some reviewers criticized the score and the libretto, implying that Channing’s performance was responsible for the efficacy of the show. 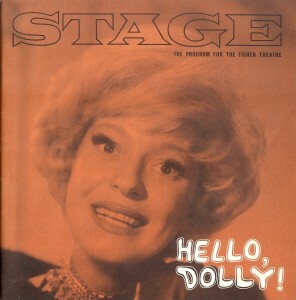 In his review of the opening night performance, The New York Times theatre critic Howard Taubman wrote “Hello, Dolly! … has qualities of freshness and imagination that are rare in the run of our machine-made musicals. It transmutes the broadly stylized mood of a mettlesome farce into the gusto and colors of the musical stage. … Mr. Herman’s songs are brisk and pointed and always tuneful … a shrewdly mischievous performance by Carol Channing. 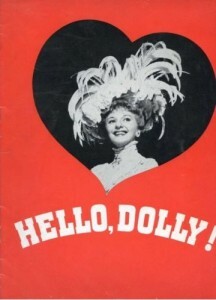 … Making the necessary reservations for the unnecessary vulgar and frenzied touches, one is glad to welcome Hello, Dolly! for its warmth, color and high spirits.” After opening to mostly negative reviews, the show next played The National Theater in Washington DC where the show began to take on more of the look that audiences know today. They would all celebrate Christmas in DC. Before The Parade Passes By was written in DC and went into the show…even though the costumes would not be ready until they arrived at the St. James Theater in January 1964. Gower didn’t show up at the party. Finally, when they got The Times, Marge went over to the theater to retrieve him. She found him backstage in a little cubby hole. He was sitting there with his face in his hands. She told him he better get over to Sardi’s because The Times was a rave. He was exhausted. It had been a long trek to this moment. As previously stated, David Merrick was not an easy man to work with. In fact, Marge believes Merrick is what finished Gower off. He was not well when he was doing 42nd Street. Merrick put Gower through the wringer again. Gower figured out ways of dealing with Merrick when he was around. When Gower walked into Sardi’s, the cast went wild. He finally accepted the fact that it was a hit and that mood carried all the way through the Tony Awards almost culminating in a complete sweep. Charles Nelson Reilly was the only one to lose in their nominated categories. He lost Best Performance by a Featured Actor in a Musical to Jack Cassidy for She Loves Me. The 18th Annual Tony Awards took place on May 24, 1964 in the New York Hilton in New York City. The ceremony was broadcast on local television station WWOR-TV (Channel 9) in New York City. The host was Sidney Blackmer and the Masters of Ceremonies were Steve Lawrence and Robert Preston. It was an absolutely ecstatic evening. The show ran no matter who was in it or how it was mangled. Several of them did. Marge admits that she did not see ALL the Broadway Dollys. Gower was not happy about Ginger Rogers’ portrayal. She didn’t have the stature that it needed. She rehearsed for two months before she even came to New York to work with Gower. She was a very slow study. She raced through it. Every time Carol did her speeches to Ephraim, people were crying. Rogers didn’t have that. She was fine in the funny parts. That was what was so unusual about Carol. As funny as she was, she could carry off those scenes involving Ephraim. Marge doesn’t feel that Ginger ever got it. Marge did think that Betty Grable was quite good in it. Gower was never happy with So Long, Dearie. Marge acknowledges that Lee Roy Reams finally got it right in the 1995 Broadway revival. He finally got Dolly to be down and dirty. That’s the way it should have always been. A lot of Gower’s “restrictions” with the number had to do with the times in which the show was originally produced. He also didn’t want to get Carol into that. When Lee Roy did it, he did it almost exactly the same in many places. There was also another place in the show that drove him up the wall, Come and Be my Butterfly. He was never happy with that and tried all sorts of ways of trying to make it work. When Ginger Rogers took over for Carol, it was replaced with the Polka Contest. Starting with Channing and Martin’s tours, that change was always permanent. 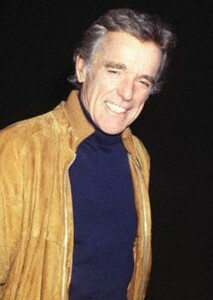 Gower got Martin to do the international tour in order to give Tom Jones and Harvey Schmidt more time to work on I Do, I Do which they were already slated to work on. Marge saw Martin play Dolly in London. Her take is that Martin was more Lady Bountiful than Dolly Levi. She was not a success in it in London. They never really cared for Mary as a major success in London. It was strange because she had such an elegant way about her. Martin did Dolly in London for six months only to be replaced by Dora Bryan who was a bigger hit. Marge thought Dora was tremendous. She had all of the qualities that it needed. Mary Martin was handicapped from the fact that she had played it on the backs of trucks in Vietnam. Everybody in the show played it just way over the top because of the size of the audiences and the enthusiasm that they were used to. At the first rehearsal in London, Carleton Carpenter fell off the passarelle and injured himself very badly. (Check out my interview with Carleton Carpenter). He was replaced by Garrett Lewis. Gower was very upset. He really wanted Carleton in the role. The late Marilyn Lovell was in that production and she was very good. She had a great sense of humor. That was the thing. Everyone in the show had to have their moment. They needed to be a bit over the top but no so that it would be unbelievable. Marge really loves Hello, Dolly! After President Kennedy’s assassination, Gower threw himself wholeheartedly into this project. He reorganized, he restructured. When Before the Parade Passes Byr eplaced Vandergelder’s Penny in My Pocket at the end of Act One, it became about Dolly. That changed the course of this show. Marge believes, with the right person, it would succeed again on Broadway. For a long time, Marge has thought it should be a real Dolly, Dolly Parton! Marge would love to see that happen but perhaps Dolly would not be interested in doing eight shows a week, something she has never done. The show was going through constant changes. Once Carol Channing got something in her head, she was like an automaton. She did the same show every night. She didn’t need Charles Lowe down there in the fourth row leading the applause and laughter. Gower finally had him removed from the theater and he was barred from being in the theater when Gower attended shows. She was so accustomed to a certain rhythm and when there was an audience that was not as responsive, it would throw her somewhat. He never wanted to change HER rhythm of the audience acceptance. It drove Gower and everyone else connected with the show crazy, most of the time she didn’t need it. She always gave fully of herself. He absolutely made her a star. He was up very early EVERY morning and he would be on the phone with Biff Liff who was working in the William Mossis Agency. They still represented Carol. It would always be about the extra things she should be doing, appearances here and there on her day “off”. He never let up. Carol was always overworked. She never had a day off. As of this writing, she is ninety-one and still has that work ethic. She no longer has anyone pushing her. 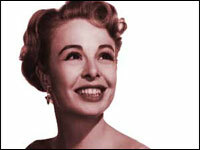 Marge Champion believes that Hello, Dolly! 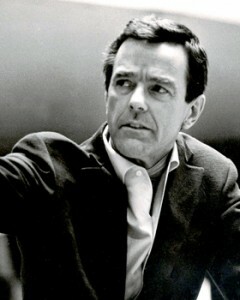 IS the show that solidified Gower Champion as a Broadway choreographer/director which is what they had worked for all those years. Everybody else always had the male name first like Mr. and Mrs. Marge always insisted her name come first so his name was ALWAYS Gower Champion. Marge will also remember with great love what Carol Channing means to Dolly and how she helped shape it whether she knew it or not. She was willing to try things even to the point of making herself sick during the eating scene due to all of the experimentation to come up with the right solution to making it work. She was the best Dolly and Marge can find nothing wrong with her performance. She brought her own personality to every single role she ever played. She wasn’t successful on screen beyond Thoroughly Modern Millie. Screens were not big enough to hold her. She had enormous energy. She loved the theater. When Champion died at 1:00 on August 25, 1980, it was six hours before the opening-night curtain of 42nd Street, the last Broadway musical he directed. It would be his greatest success, running nine years, but Hello, Dolly will always be the first show that people think of when it comes to Gower Champion. 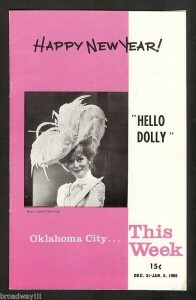 Original program for Hello, Dolly!